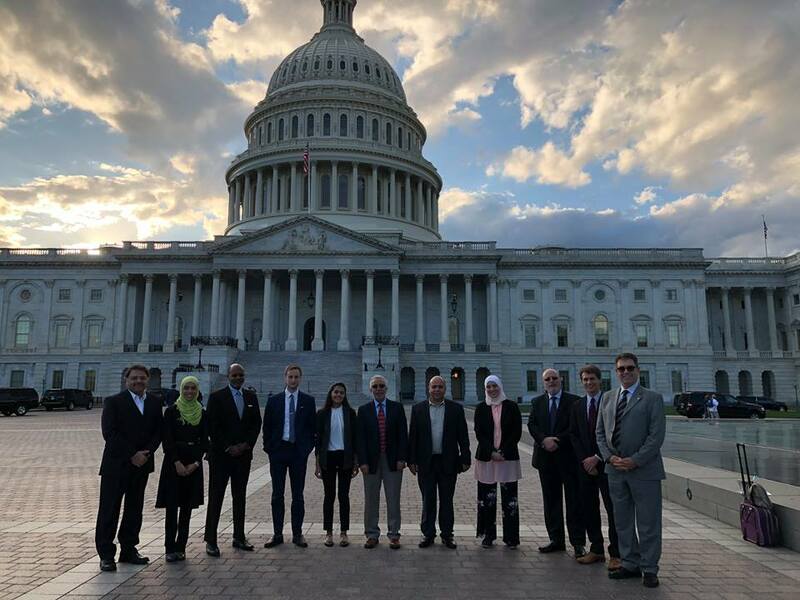 For the first Annual Advocacy Day, leaders of the American Relief Coalition for Syria’s (ARCS) 13 member organizations gathered at the Capitol Building to engage with over two dozen congressional offices on issues of education, NGO banking and other topics. The attendees reported high levels of engagement and requests for follow-up from the staffers. ARCS strongly believes that those implementing relief on the ground in Syria must be consulted to make important policy decisions. SAEA is the Engineering Consultant arm of ARCS, and one of its 13 member organizations. SAEA was represented by Dima Almeniawi in a meeting with US Senator Debbie Stabenow in which she highlighted the implications of policy decisions, in engineering and other areas, in Syria. Also in attendance were member organizations such as Syrian American Medical Society and Shaam Relief Foundation. American Relief Coalition for Syria is a group of secular, non-political Syrian diaspora led humanitarian organizations that provide multi-sector relief inside of Syria, as well as assistance and services to Syrian refugees across the globe.